Capturing the natural phenomenon that is the Northern Lights in a manner that does them justice is no easy feat. Always on hand to help, we’ve put together some tips to ensure that you come home from your Scandinavia holiday with postcard-perfect pictures of the awe-inspiring aurora. Firstly, equipment is everything. If you haven’t got the right kit, then you are better off enjoying the experience for the memories rather than trying to capture it with a mobile phone. If you’re serious about getting a good photo then a DSLR or mirrorless camera will get you the best shots. Shoot in RAW mode – you’ll capture the most detail and editing photos shot in RAW is much easier than a heavily compressed JPEG. You’ll find these settings in your camera. Experimenting with your camera’s manual mode will also be highly beneficial; it allows you to manually select the ISO, shutter speed and aperture of your images. 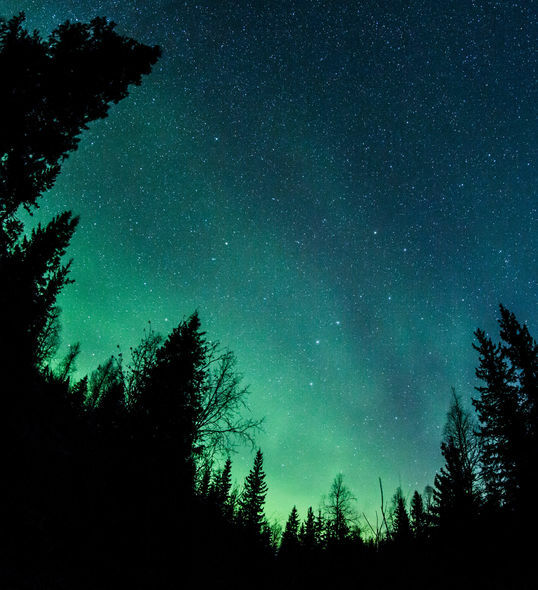 Having control of these settings will be useful for shooting at night as they will help you to ensure the right amount of light is used, so that the Northern Lights do not appear devoid of detail or colour. Using a fast and wide-angled lens will assist in reflecting the grandeur of the scene by providing more space to capture surrounding scenery as well as pulling more light into the camera’s sensor. If you haven’t already got one, a sturdy tripod is a vital investment for those of you that are keen photographers. The most crucial part of Northern Lights photography is getting the exposure settings right. A long exposure time will allow much more light into the shot. The downside of this is that any camera shake during the 10-12 seconds you may need to take the photo will result in blurry footage. 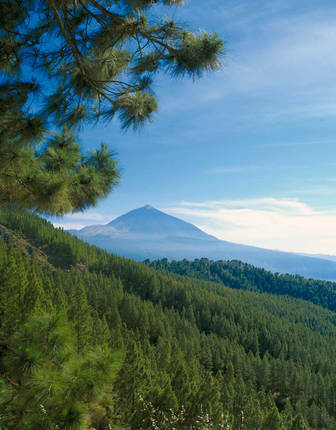 Using a tripod will ensure stability, so the camera shutter can remain open and shake-free. Letting a tripod do the work will also aid your overall Northern Lights experience; not only will you come away with breath-taking photographs but you will be able to relax and enjoy the rippling dance of the lights first hand – not just through a lens! Consider purchasing a remote control timer so you can set the camera and tripod up and take photos as easily as changing the channel on your TV, leaving you even more time to enjoy the show. Another tip? Take a spare battery. The cold weather drains battery life faster than usual, and you don’t want to be caught unaware with no camera to use due to a flat battery. A spare memory card is also worthwhile – you don’t want to be stuck with a broken memory card – there aren’t many Jessops in the middle of Lapland. Simply put, winter holidays in Scandinavia are a cold affair. Taking photos of the Northern Lights involves being outside for extended periods of time, so you’ll want to make sure you’re well prepared. Hat, scarf, thick socks, gloves…don’t forget any of them. Gloves or mittens with detachable fingers are handy when accessing the fiddly buttons on your camera. Consider taking a thermal drink filled with your favourite tea or coffee, or go native and fill it with some hot lingonberry juice. You can find a quick packing checklist below but for more tips on making sure that you're appropriately suited and booted for your trip, check out our blog that will tell you all that you need to know when it comes to what to pack for a winter trip to Scandinavia. Photographic advice means nothing of course if you don’t get to see the Northern Lights. Whilst a sighting of the aurora can’t ever be guaranteed, we want to help you tick it off your bucket list so have come up with a number of destinations where you will be most likely to catch them. And remember that the aurora isn't a year-round sight, make your trip between September and April when they will be most likely to make an appearance. Located at the heart of the Northern Lights oval, this city is widely regarded as one of the best locations to see the aurora. Although one of the world’s most isolated city break destinations, Tromso is far from shy or retiring. This fjordside city is a lively place. Rich with culture, Tromso encapsulates that enviable Scandi style whilst boasting a thriving art, music and bar scene. 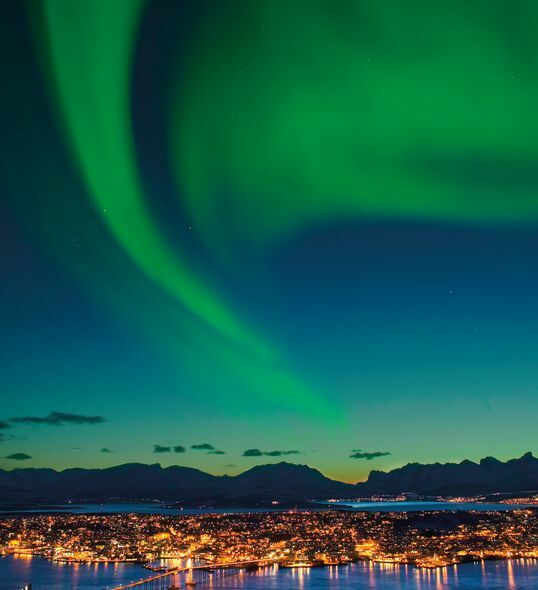 Settle down amid snow-capped peaks with a stay at the Scandic Ishavhotel, where you can ask for an aurora wake-up call so that you don’t have to stay up all night in wait. If you’re looking to get more than just a city-break out of your trip to Norway, take a look at one of our tours such as our Lyngen Lodge Break, where you start in Tromso before venturing out into the wilderness for a range of wintry, fun-filled activities. 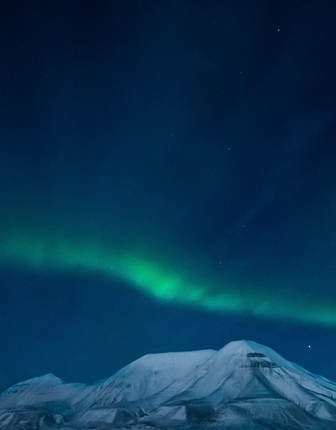 This itinerary includes an expert talk on the Northern Lights – including information on the science behind them and the legends associated with them – and you’ll even receive practical advice on the best way to capture them. Head to the edge of the Arctic Circle and experience the natural beauty of Swedish Lapland, where you can witness the aurora as if it were putting on a private show for you. Stay in either the TreeHotel or the ICEHOTEL, both iconic properties that will make for the most memorable Northern Lights pursuit. And the aurora isn’t the only attraction here, with a whole host of winter activities to keep you occupied during the days before your nights of light searching. Think husky sledding, reindeer rides, horseback safaris, wilderness camps and you’ll begin to get the right idea. Finnish Lapland is the epitome of unspoilt, snow-laden Scandinavia. 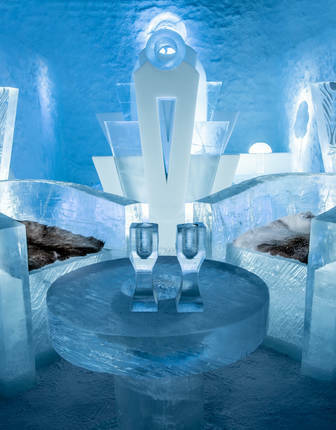 Amid the wintry surrounds, Levin Iglut Glass Igloos is a luxurious, cosy haven. 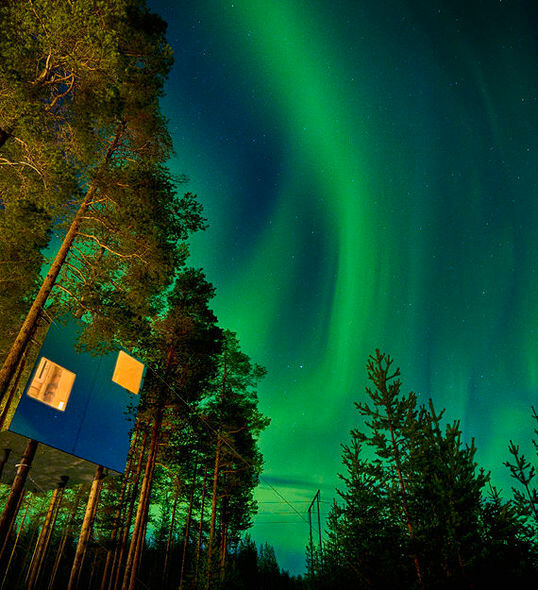 The cluster of glass-ceilinged igloos are a heavenly aurora-viewing abode. 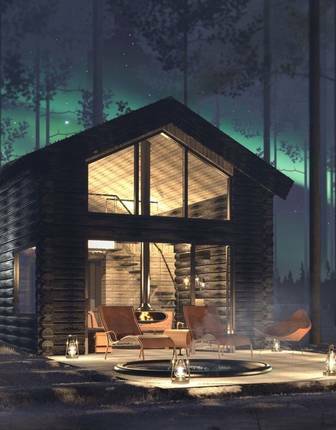 Watching the Northern Lights without having to compromise on comfort and warmth is what this accommodation is all about – a hint of luxury on the edge of wilderness. The beds are even motorised to ensure that you can position yourself for the best possible views of the aurora’s ‘show’ all from the comfort of… well, your own bed. 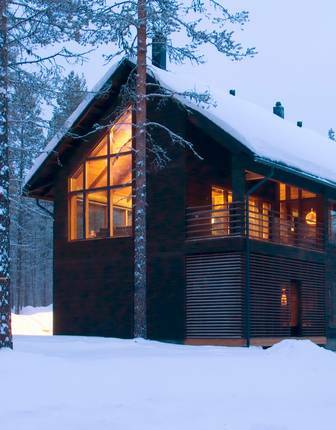 Enjoy a luxury break at Levi Spirit Villas in the heart of Finnish Lapland. 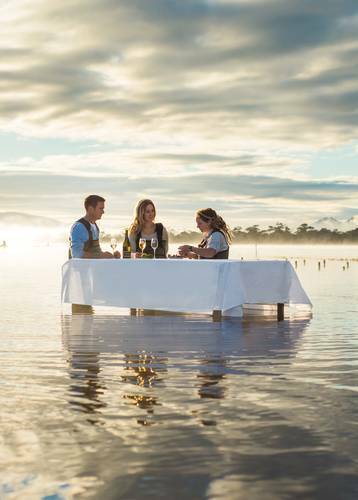 Enjoy included activities from husky safaris to reindeer sleigh rides and tuck into gourmet meals prepared by a private chef.